Non-Stop This thread currently has 834 views. I must admit the final track still grates with me,but finally after all this time ive got it. The Non Stop album is so different, do love most of the songs but there are some songs I'm less keen on. It's great to hear that Andy is trying different styles but it's a shame that he'd cover it up by making it another style so he wouldn't be recognised? 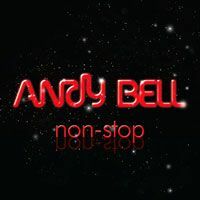 Regardless, I'm always open to new stuff, new styles, new genres - whatever Andy embarks on, style, he's got my support. so that he got a fair go at AirPlay which seemed to work until they realized it was Erasures Andy Bell then it was back to square one. I’ve had a day off this week doing the garden so iPod was on constantly,having played 3 Nu Shooz albums (Poolside is a classic) I decided to give Non Stop a go having not listened to it for a few years. I’ve always found this album a strain to listen to and it doesn’t rank well in lists of Andy’s solo efforts,th final track being unlistenable to me. What shocked me listening after all this time is that it finally after 8 years it all sounded good to me,in fact I played it twice in a row without skipping any tracks including the last one. Shock horror,it’s taken 8 years for me to finally appreciate this album,it pains me to say I didn’t really like it but now it’s all changed and I’ve no idea why! Ok it will never be a Electric Blue that’s the gold standard for Andy solo albums (I dont class the Torsten albums in the same category as his other solo output as it’s more theatrical a different genre to the hi-NRG disco stuff he loves) but now it’s holding it’s head up high.